THANK YOU LIONS and COMMUNITY! 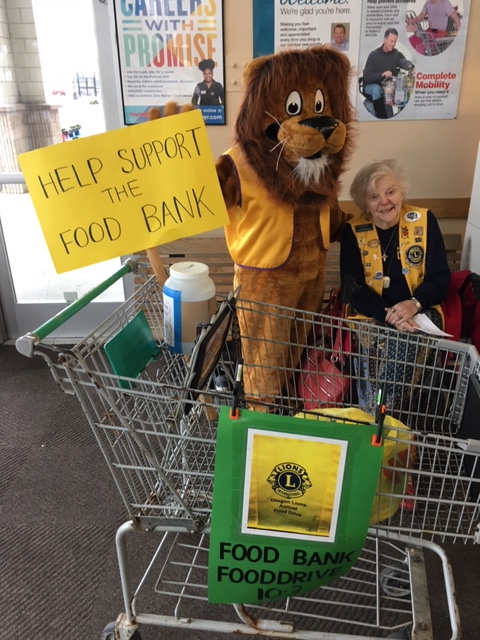 LIONS Food Drive for local food bank on Sat, Feb 9, 2019 at Fred Meyer & Grocery Outlet 10am-3pm......In the morning, our new BHLC mascot Melvin the lion visited Fred Meyer.....Total donations collected : $600 and 867 pounds of food were delivered to The Brookings Harbor Community Helpers Emergency Food Bank. 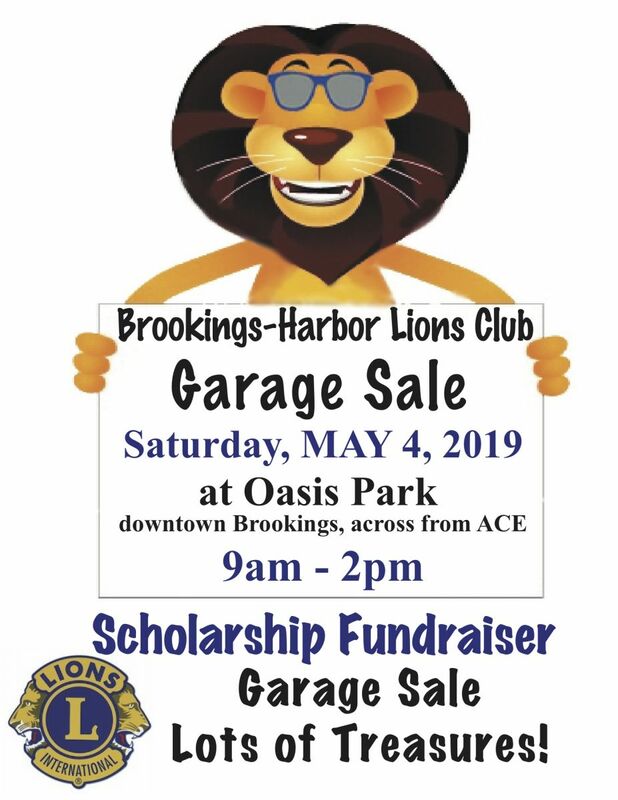 Our Lions Scholarship Committee will be reviewing and selecting 2019 Brookings-Harbor graduates with our own scholarship applications. Use of scholarship funds ( awards up-to $1,000) will be in student’s name paid directly to the educational facility. email lionjcw@yahoo.com or call 541-469-1816. Lions will present 2019 scholarship announcements. 2020 Applications for New Student and Post-Grad Lions past recipients may apply and download PDF from Oct 1, 2019 to March 1, 2020 deadline. Since 1917 local Lions clubs have offered people just like you the opportunity to give something back to their community. Lions are an International organization of 1.4 million men and women in 210 countries who work together to answer the needs that challenge communities. As a member of a Lions club you become aware of the needs of our community and have the advantage to effectively make a difference. Our club provides volunteers with project management assistance, leadership training, personal development opportunities and organized fundraising programs. Being a Lion empowers you to help others in a way that no one person can do alone. Now, more than ever, people with vision problems, the environment, our senior community, our youth and the disadvantaged around the world need your help. You can make a difference. By participating in our local Lions club you can help meet pressing needs in our community and around the world. **** The satisfaction that comes from helping the less fortunate. **** The opportunity to share in the growth of our community. **** New friends who share common goals. **** Fun meetings with occasional visits to other clubs. **** Fellowship shared with other members. **** Interesting and educational meetings. If you would like more information or have ideas on how we can further serve our community please join us at one of our meetings or contact Lions Design Team lionjcw@yahoo.com. The Brookings-Harbor Lions Club meets the 2nd Wednesday (Business meeting) and 4th Wednesday (Social gathering) of each month. Meeting starts at 6 pm. Join us at the Chetco Activity Center, 550 Chetco Lane, Brookings, Oregon.